Are you getting in on these viral Twitter word games? How often do you take a look at your local or worldwide trending hashtags on Twitter? And how often do you actually use them in your tweets? Trending hashtags have always been ideal for following breaking news stories and events in real-time, but they're also good for another purpose too: playing word games just for fun. A hashtag game starts with an open-ended and relatable hashtag that suggests or instructs users to add something to it. For example, #RejectedCandyHearts is a popular hashtag game that often pops up on Twitter around Valentine's Day, prompting users to come up with bizarre and clever phrases you'd never find written on those popular but cheap, colored heart-shaped candies everyone seems to see or get around February. In early 2015, Twitter users started really engaging with a hashtag game style with more of a challenge to it. 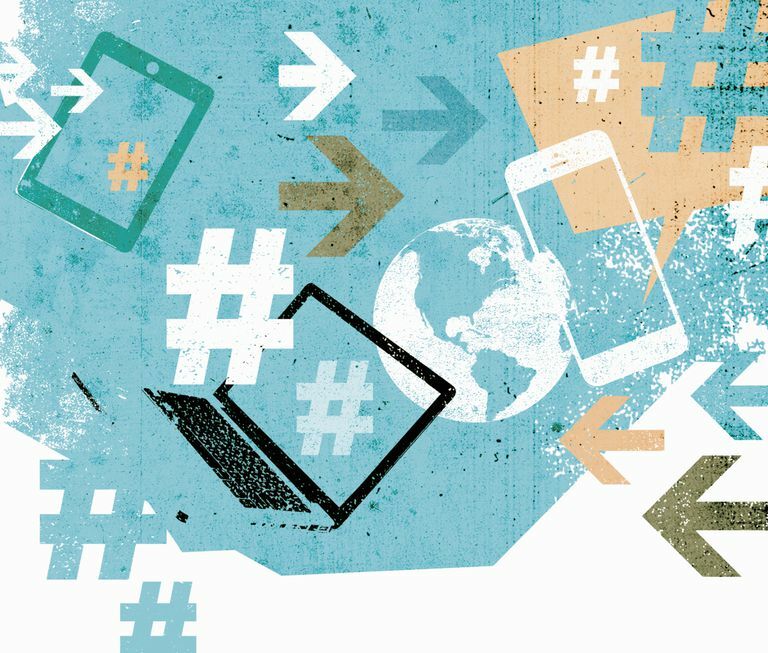 Hashtags that specify the use of just a few words became wildly popular, setting off a wave of new trends that make more people feel inspired to join in the conversation and see how many faves or retweets they can get. Here are just four of the numbered word hashtag games that trended throughout mid- to late-January. #5WordsToRuinADate was the hashtag that really kicked off this whole big new trend. I saw blog posts from big sites about it, and even saw it talked about on the local news. Apparently it all started when an Irish DJ asked his listeners to use the hashtag to share their worst dating thoughts and experiences. Hours later, it was trending worldwide. #5WordsToRuinADate was a top trending hashtag for a long time, much longer than just a few hours or so. Since users seemed to be having so much fun with it, the trend evolved into a new but similar game -- #FiveWordsToRuinAJobInterview. After the five-word hashtags for dating and job interviews, the game took a turn toward a world of nostalgia with #ExplainThe90sIn4Words. If you've observed the way millennials interact on social media, you probably already know that most of them can hardly resist sharing things about their childhood. Shortly after #ExplainThe90sIn4Words trended worldwide, Twitter decided to get just a little NSFW and by bringing up #MakeSexAwkwardIn5Words to be the hot new hashtag game trend. It's amazing what you can say with just four or five words. I think that the word number limit paired with a relatable situation is what supercharged these hashtags, encouraging even some of the most hashtag-resistant users to start participating in a fun and creative "challenge accepted" kind of way. The numbered word hashtag game trend has been strong as of late, and you can be sure to see more of it. Remember to check the left sidebar on Twitter via web or swipe left to the Discover tab to see what hashtags are currently trending so you never miss another hashtag game.